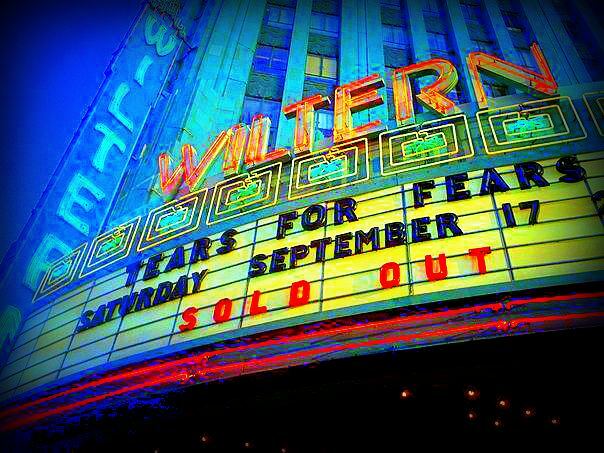 Unspeakable amounts of sacrifices were made this year by many fans who are attending next month’s Tears For Fears tour. Despite this difficult economy, many fans took second jobs at night and on weekends. This proved daunting, exhausting and challenging especially for one fan who ran into a less than friendly new boss and had to quit. Somehow she managed to get the funds anyway and will be at the Vegas show. **virtual hug for her** what an experience! Meager meals are apart of the mix when you’ve got numbers like the above lingering over your head and less than 3 months to get yourself together…in addition to paying regular bills, taking care of your family, etc. It can stress you out and lead to sleepless nights. That thin coconut soup “tour soup” many of us chugged 5-6 nights a week w/ the occasional peanut butter sandwich was a test of the nerves. But knowing you are going to see the band and spend nearly a week with fellow superfanatcis you dont even notice any of these things or care what you are giving up to afford it. Going Too Far? I think this is the first year some of us put off surgeries, doctor appointments, left certain bills until the last minute and drained our savings to cover the costs of touring. Last year we knew in March and we had until late August-September-October to wrangle and lasso funds. This year it was the last week in April/Early May. You wouldn’t think a month’s difference would have such an impact…but the thing is many already had their summer holidays booked (trips to France, etc). So, this sudden tour news caught us off guard. Many of us were not prepared. 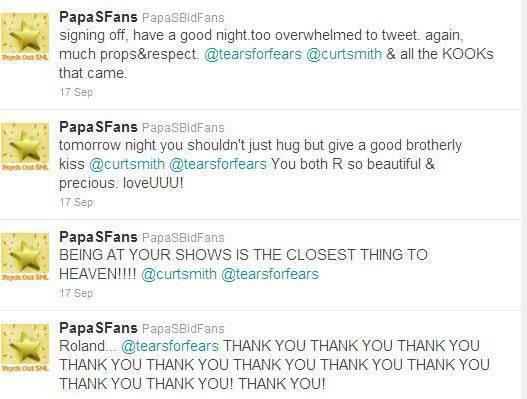 But forbid we not get to see Curt Smith and Roland Orzabal walk out on stage “TOGETHER”…for those of us who spend 2-3 hours a day focused on that band for our precious sanity and “special place” …not attending the tours is equal to saying you can’t go to the family reunion…it’s unspeakable, not an option. You are going on that tour if it means you eat a can of beans and a glass of water for three months til show time. Savings accounts, scaling back on luxuries (do your own nails, hair and work out at home vs. pricey gym memberships) and in many cases dipping into savings & selling shares in stock (called the band stock fund) have proven to be a very successful funding method. This is not a joke. Andye (the moderator for @papasfans & this blog has done all of the above. She is often asked how she & the team managed to do this for 3years). Interact w/other fans — healthy ones — to keep up morale, it’s essential to have other people with which to enjoy the band. 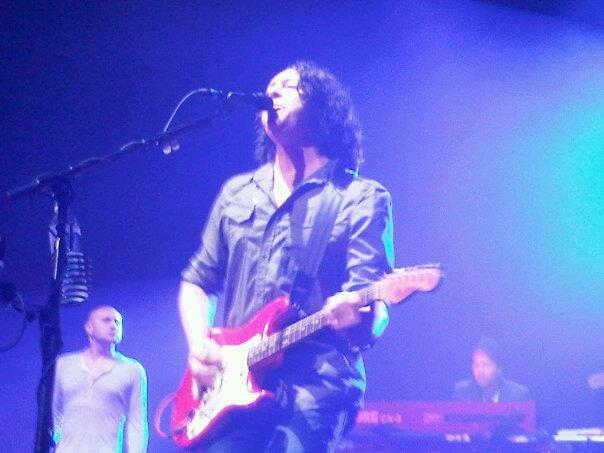 If you have any questions, comments, suggestions or tips on fan travel send them to @papasfans on twitter or leave them on the Tears For Fears & Kooks fan page wall. We encourage input and dialogue. Have an excellent tour, be nice, be careful and sing all the songs! Cheers! 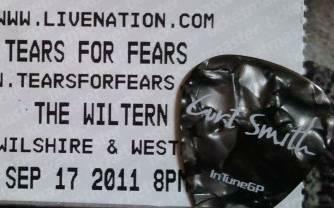 2011 show recap – TFF Wiltern 17 September 2011 I wanted to wait a bit before posting the recap of this show. It was as Carri would say, “EPIC!” I’m still not sure if that even sums up what happened that life changing evening. This concert took place on the anniversary of the TeamCS formation, which can be explained on the profile of (@papasfans) on twitter. I was whisked off to the airport at 9am in the morning from the Red Rock Hotel in Vegas. Mind you, this was just 30 minutes before seeing what we have to assume was one of “the band” skidaddling into an elevator. My heart was already racing. Now, a higher power had to be watching over me as I dropped my drivers’ license, all cash, etc after checking my bags at the flight counter. Some kind soul walked up to me afterward and handed them to me. I’m not joking when I say these shows are spiritual experiences that make a believer out of you. I get to the boarding terminal to learn that the plane is late. So I take this time to turn this excitement into what I call profitable tweets. 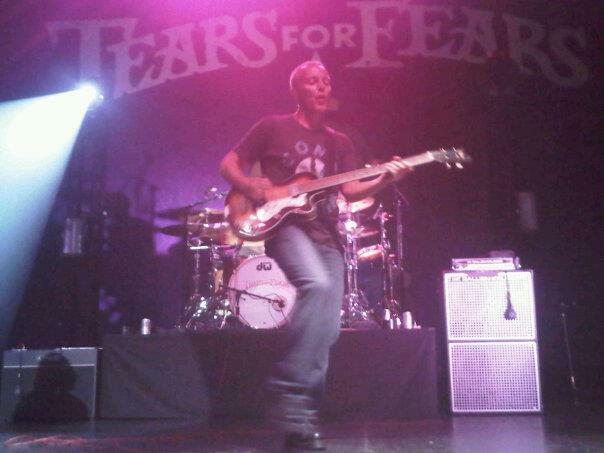 Between the hours of 9:30am and 11am I sent about 50 tweets to Michael Wainwright, Curt Smith and the Tears for Fears official profile that included what I felt were profitable ideas for the band. Of course, I didn’t expect the band to take me seriously, but if they did, then more power to them. It’s just that after the Vegas show I knew there’s was no way I could possibly handle a day to day without Tears For Fears podcasts, subscription based guitar lessons, etc week after week. Call it insane but those concerts leave you on cloud 9 and eager for more. Rumour has it that these tweets nearly drove Michael Wainwright up the wall. So I’ve taken him off the list of profitable tweets to save his sanity. I’ve also scaled back to 1-2 tweets a day and fewer RTs. The plane finally arrived. I slurped down the last of that Vinti Frappucino (the only thing I’d consume that entire day) and boarded the plane. It was a tiny thing. Crammed inside, we flew across the desert and I could see cars below. I was looking around wondering if by chance any other fans were on this flight. I didn’t recognize anyone…just a bunch of men in suits. We were all clearly in a hurry to get to point B. Getting off the plane I hit my head on the overhead cabin…numb from excitement I didn’t even feel it. Others around me seemed worried and shocked that I recovered from that ghastly cranial crash as I looked back to make sure I hadn’t left anything since I was prone to dropping items. I scuttled off the plane and met my driver at baggage claim. He dropped me off at the Wilshire Hotel and I checked in immediately. 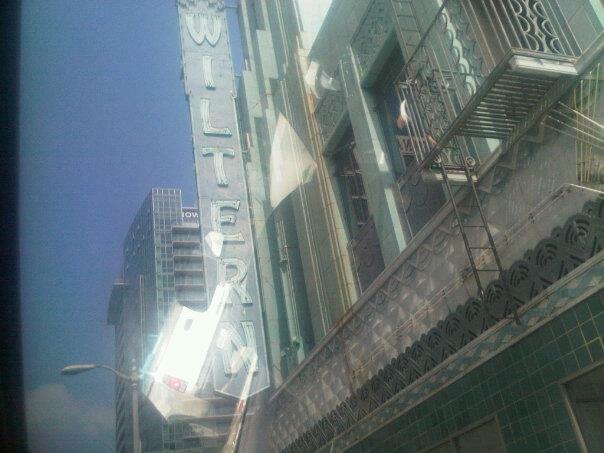 On the way there I could already see people lining up along the Wiltern’s sidewalk… at 2:30pm. Perfect Time to Perch I get inside, I immediately clean up, again, wash my hair…the whole nine yards. I’m in OCD mode at this point. I put my DelaQ Tshirt out and my fan jacket. I put these new jeans I bought just for this show and some TEVA sandals. I phoned every fan I knew and said, “we need to meet up now…let’s just go line up.” They thought I was crazy. Pam was the only one who came right away and we walked over to the line to find ourselves numbers 7&8 behind a very organized group from L.A. inclusive of Penelope and Kim Tang. Over the next few hours the line grew and grew. 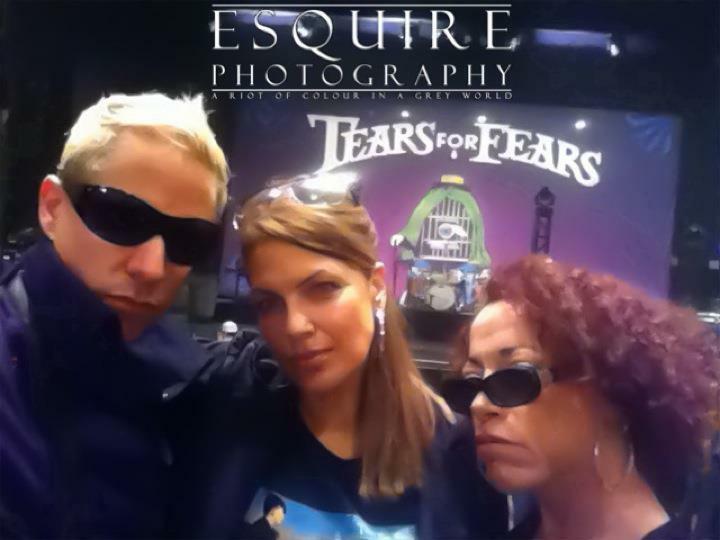 People came and played cards decked out in their Tears for Fears t shirts. Most of us were in the same section (The Pit) so we got to know each other’s names and exchange Facebook profile info so we could keep in touch and share photos. 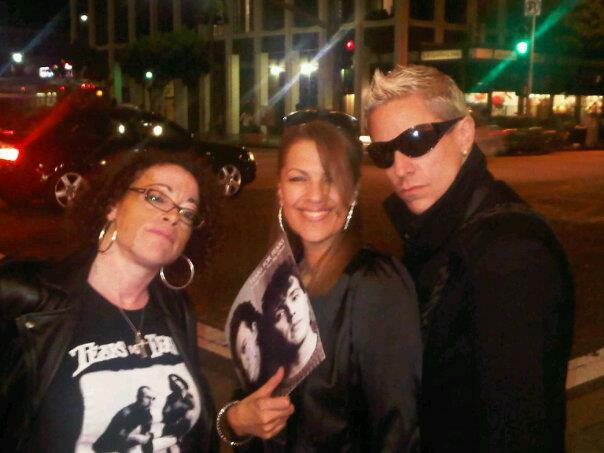 Vexed by VIP Around 5pm members of the band could be seen either driving by or coming out of the Wiltern. Gruno came out and handed Kim Tang some guitar picks. She showed them to us and then put them in her pocket so they wouldn’t get lost I imagine. Forbid she drop one of those…that would’ve been awful. Pam would leave the line and come back, go make a phone call, come back…restless she seemed. I was too afraid to move. Alexis, her friend, Traci and others came. 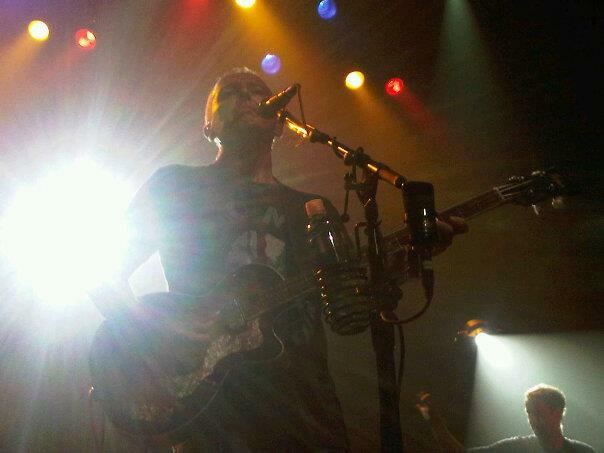 Then about 5:30 a woman with the Wiltern comes out offering us VIP for $20. “What does VIP entail?” we asked. She said, “You get access to the VIP bathroom, can get drinks at the bar, access to the exclusive lounge and that you’ll get to go in early.” We bought it. I got one for Pam who had again walked off at this time. I figured she’d want one too. We then went over to a different line placing Penelope and I at 1st and 2nd. 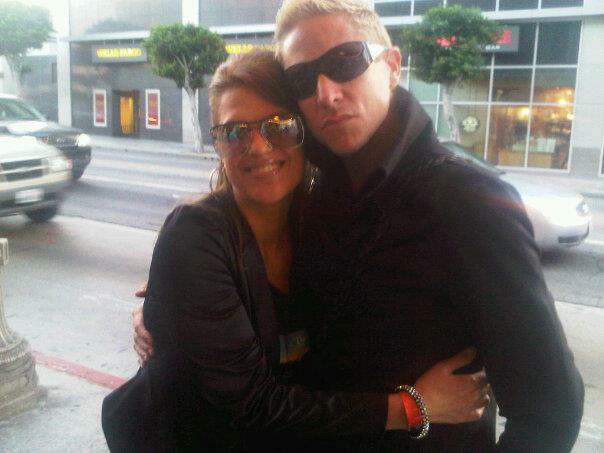 Then Carri shows up with Kai…and some hottie blond trailing with them. I told them to get a VIP pass and get in line, no time for hellos and all that, just get the pass. VIP stands for what? Around 6:30 we were moved about 3 feet forward next to a gate. From there, Gruno shows up again followed by 3 women who were all wearing TFF lanyards. They went into the theatre. We stayed behind and waited…then about 10 minutes later were led downstairs to a very small room that was dimly lit. The line we had so carefully formed with respect to those who had been there since noon that day dispersed. I cleaned my hands and got a drink from the bar. I knew I was going to need it. I think at this point chaos broke out. There was nothing VIP about what we got to do. We paid $20 to go to the bathroom pretty much. Only a handful of people bought drinks. Penelope went back to the woman who sold us the passes and explained that we’d been waiting in line all day and now that line was ruined and we weren’t guaranteed to be first in for this general admission show anymore. Security came, reorganized the line and we stood down in that small room (over 100 of us) for another hour and then later led to the top of the stairs …where we were finally allowed to go into the theatre. I think that’s the worst VIP experience I’ve ever had. I don’t know what was VIP about it…I really don’t. Security checked to make sure everyone was in the right place. Pam and I were slammed against the stage, our chins literally sitting on it…the photo shown is a chin shot. 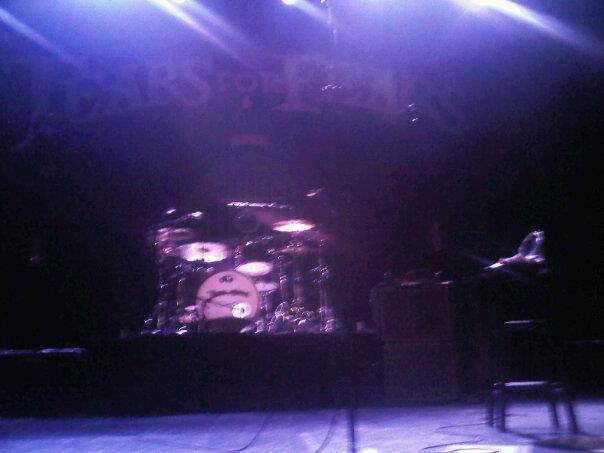 It was front row nonetheless and I wasn’t moving. In fact, I couldn’t. I was so oxygen deprived I began to feel light headed. I laid my head on the stage…Penelope beside me, Kim Tang beside her and some people we’d never met before who admitted they hadn’t even heard of the ELAHE album (that’s a crime in itself) next to Pam while others who didn’t buy Pit seats were on the front row of the floor section just above us. Waiting We’d been on our feet for what felt like forever. A screen came down and allowed us to text messages to the monitor. People text how upset they were about the VIP, people text that we were waiting too long, that many of them were old now and couldn’t do this concert scene anymore if it meant standing forever…there were funny tweets, marriage proposals (fake ones and real ones). Simultaneous oohs and awes for certain tweets. We kooks got a few messages in and then finally the screen went away and Michael Wainwright came out. The Show When those lights went down I nearly lost my mind. Relief swept through me and the heart palpitations decreased as Curt stood above my head, his shoe was level with my chin. He laughed when he looked down at Pam and I…the proof of our dedication was right there where we stood. Roland shook his head and just stared as if he was amazed as we looked over at him. He too looked surprised that two nights in a row at a General Admission show we’d somehow made it to the front again and were staring him in the face. That moment was classic. The set list was the same as that which was in Vegas if I’m not mistaken and full of electric energy. I, again, sang every single song. There’s something about having these two men towering above you. It’s like looking at two magnificent statues of talent and grace. Roland had on this olive coloured button down and I had on an olive coloured jacket. It was quite a coincidence and I just couldn’t get enough of it. At times he’d look over at us (the loyal Kooks of which he may or may not be aware of, perhaps we were the loudest?) and he’d just stare…maybe because we knew every word to every. single. song. Now, mind you…I had no voice and was lip synching because no sound was coming out. I was done after Vegas. I barely had enough energy to stand there let alone belt out a song. But I put passion into it…whole heart and soul. We all did. We swayed, we danced out songs, we danced out the moves according to the videos (i.e. Roland’s dance during Change, Mad World Flying Wombat, the four leaf clover)…we fans did a complete set. We left nothing out. During Sowing the Seeds Roland did just as we had asked the day before in a tweet. 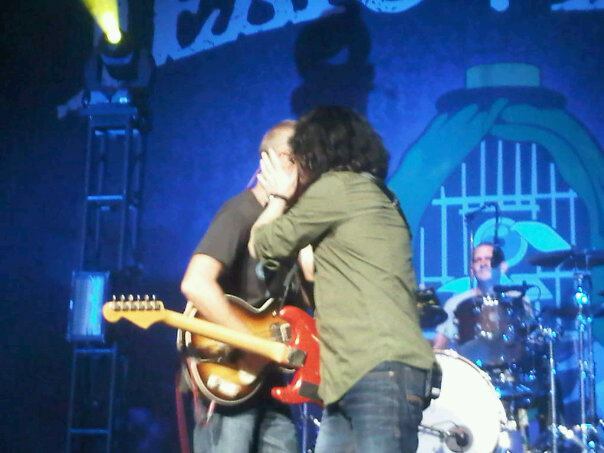 We wanted him to give Curt a brotherly kiss instead of a hug. It was charming and we all went absolutely mad. I think I started crying as expected. I can’t remember if Curt threw any Skittles. I think being that close I would’ve caught at least one. The night was just full of everything a fan could ever want. The songs sounded even better than the album recordings. Curt and Roland really haven’t changed that much. I feel they are stronger in so many ways musicially as a group. Roland looks amazing. Curt is fit as a fiddle and looking mighty fine. The fan base has grown to include the children of the earlier fans and those of us who were too tiny to get into shows as toddlers are now front and center at most if not all shows. We follow them around like puppies or as Curt calls us a “Kerfuffle of Kooks.” As a band, they are crystal clear and nothing is out of place. Everything looks and sounds stellar and the reviews that went out the next day by various magazines, bloggers and music critics all sang their praises. This was a sold out show so the confidence by fans for this band isn’t going anywhere…it’s set in stone. Tears for Fears are truly a timeless band with a classic sound that remains “ahead of their time.” Their lyrics, topics, thought provoking phrases and general “tone” are a force! The set ended with Shout (and me singing on Roland’s microphone, no I didn’t jump on stage, just keep reading or click on the blue link above)…[and what was so beautiful was that the song was the full version with the extended instrumental opening…ohhh, if you’ve never heard it check it out in your Tears for Fears collection. It’s worth opening the box set to hear it. I know many like myself buy their music and don’t open it these days because it’s worth it’s weight in gold so you preserve it in the plastic package, etc. So, if you can’t bring yourself to opening it then at least find it on YouTube] Okay, so the band starts singing…Curt’s youngest daughter is out to the left of the stage with Michael and she’s singing ”Shout…Shout…let it all out….” and they go into the chorus and something happened…Roland pulled the microphone out of the stand and it separated from the cord. So Curt had to cover for him on the second verse I believe (by this time I’m just a live wire, too excited to believe that I’m still on the front row, jacket all awry and my DelaQ tshirt showing…yes, Roland saw it ;)). 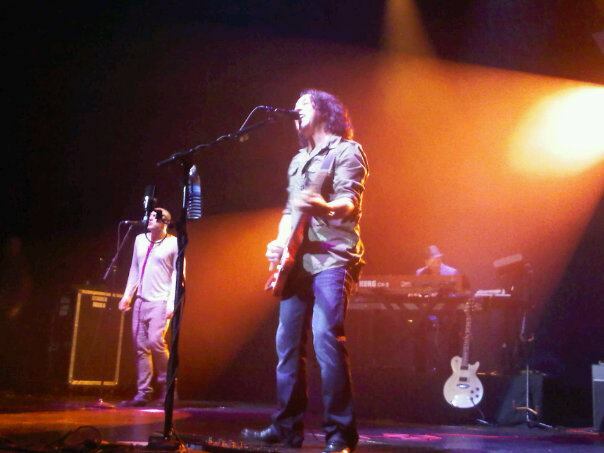 The song goes on and Curt fills in while Gruno fixes the microphone. Our attention is on Curt and we’re singing along and then Roland joins in with the repaired microphone and heads toward our area…next thing I know that gorgeous hair of his is in my face and his microphone is right at my chin and I’m singing the chorus with the 10% of voice I have left. Somehow I get out the rest of the chorus in a lower pitch thank G-d so as not to hurt Roland’s ears. Something must have gone right cause he gave me a thumbs up and Curt said, “Go Andye…” …all I could think was…”My family is gonna go bananas when I tell them what happened, I hope someone got that on video.” Poor Pam was so in shock she didn’t even record it (though many others did, see here). She asked me some weeks later, “Andye did you sing?” We were both in a daze of disbelief and awe that night I couldn’t blame her for not remembering cause had someone not gotten that on camera, the details wouldn’t have been what they were just now. I owe Roland a kidney if he ever needs it. I’d gladly hand over a lung to Curt if it was necessary. They made, not just my day but my life right then and there…and I thought the Vegas show was awesome…my goodness, they just get better and better with every show!! Whaaaaat!? Ohhh mannnn…I’m still speechless nearly a year later. I think about that moment and I have to sit down…and just thank G-d because that was more than anything I’ve ever wanted in the realm of the band. Just to see them singing together was enough for me…now, front row and a sing-a-long opportunity..ohh mannn, somebody form the clap section, I’ve got choir outfits, we can take this fandom on the road! The After Party Well, there wasn’t one…just a lot of us hanging out on the street corner after the show. I got swept away by Carri, Sir David Esquire and their pal Kai of whom I’d really not had the opportunity to hang with before. We went out…and we rehashed that show til 4am in the morning. I remember being nervous as Sir David sat next to me…I kept thinking, “Do I really deserve everything that happened tonight? Why am I receiveing all of these blessings…am I about to die? Do I have cancer?” And I don’t blame myself for asking because it was just overwhelming good stuff. My hearing was completely gone, David’s voice was merely a whisper. He had that awesome camera and showed it to me with all the pictures from the show, every single moment caught on camera…They were all so very nice…Still, I was more worried if I sang the song correctly. If I ever get the chance again, I’ll show Roland that I not only took singing lessons but used sign language to help me get the lyrics to every song just right. I sat quietly in ultra gratitude, talking to Carri, thanking Sir David for showing such mercy and adding Kai to my facebook friends list. And sending tweets…It took me a long time to get all of this out. Almost a year… It was beyond a blessing. I’m so thankful and overwhelmed that I’ve not ever been the same. I’m sure there are parts I left out. I hope others will find a way to get their speechless sentiment into a phrase or two to recap the whole event. There’s no way my 1 review could sum up what was the ultimate majestic night with the band that continues to rule not just our lives but a huge chunk of the music world. Other Highlights: I know of recent we’ve been discussing mentioning Roland’s whereabouts. 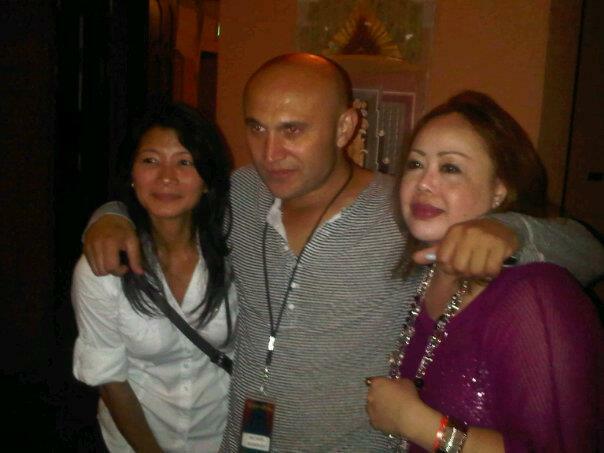 As of July 2012 he was in Los Angeles, for a fact. He joked at the show that he was surprised at his lack of stalkers with this statement: Responding to “I love you Roland…” He said, “No you don’t. If you did you’d find out where I live and drive by a few times…” or something to that nature. There was a review that stated his exact words. I have no idea where that is right now. If anyone has it please post it in the response section, the full link please, so everyone can read the entire review. After the show, people stood around getting their picture taken with Michael Wainwright. There was also merch available. I got a totebag for $25 and I use it to bring my lunch to work every week so that I’m not tempted to buy out and thus spend any extra cash that I can use toward future tours. It usually hold’s some sort of soup, we call it “Tour Soup” as that’s what many of us eat in order to save up enough to attend more than 1 show.